SSC has declared result of SSC Stenographer Group C and D Exam 2018. 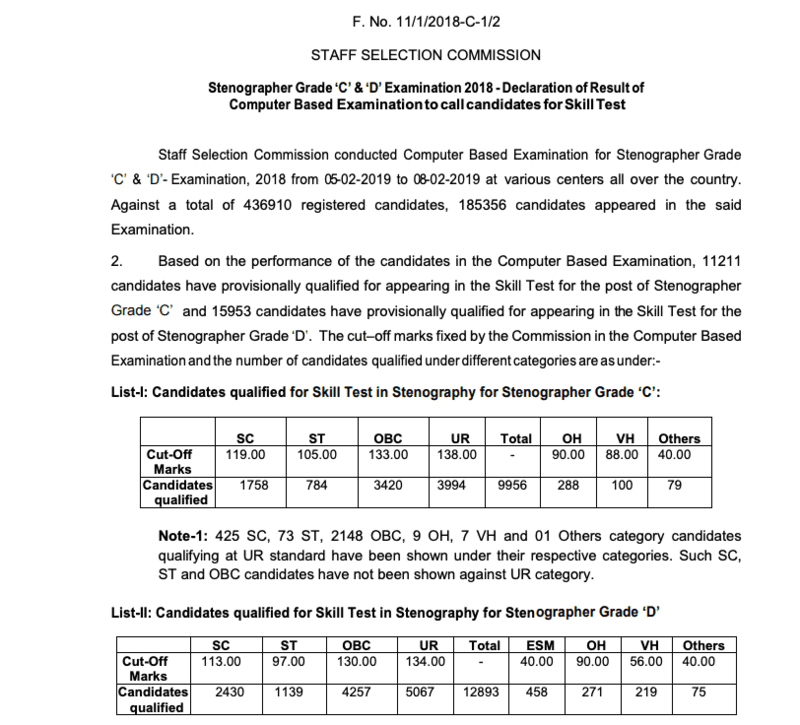 SSC Stenographer result 2018 Staff Selection Commission declared the result of stenographer Group C and D Examination 2018. Candidates who appeared in the examination can check their result at the official website of the commission i.e. ssc.nic.in or a direct result link also provided in this article.